Catholics may have some hesitation about writing in the margins of Sacred Scripture. Is it showing the proper respect for God’s Word? In a Bible meant for journaling, it is a way to immerse more deeply in the Scriptures themselves, even interact with them in a new and fruitful way, which can lead to an even greater respect for the Bible. This beautiful how-to guide will help you understand the importance of immersing ourselves into Scripture. With beautiful sample pages of the Catholic Journaling Bible and doodling ideas, you’ll discover how to interact with Scripture in a transformative way. 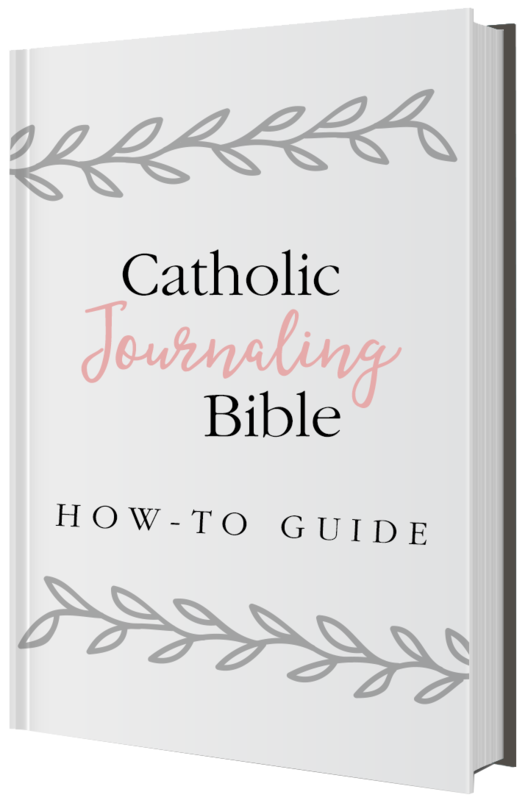 Download The Catholic Journaling Bible How-To Guide for FREE by joining the email newsletter from Our Sunday Visitor. Enter your email address below and get this special resource. You’ll also receive access to exclusive teaching, product discounts, and encouragement designed to bring your faith to life!